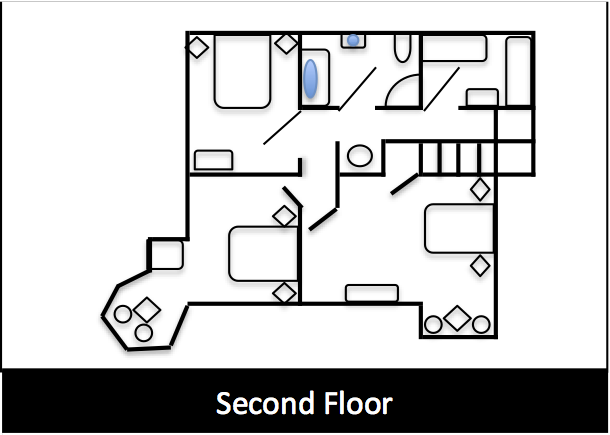 The second floor blueprint is shown above. 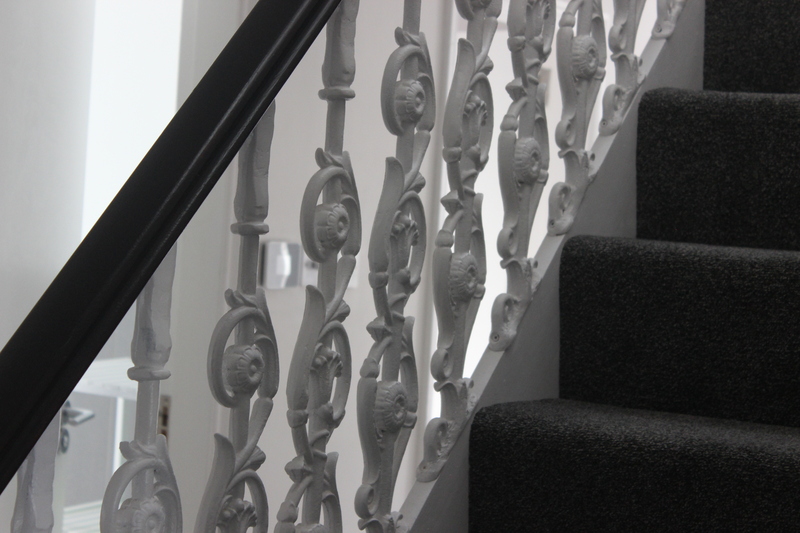 There are four beautiful bedrooms arranged over the second floor. 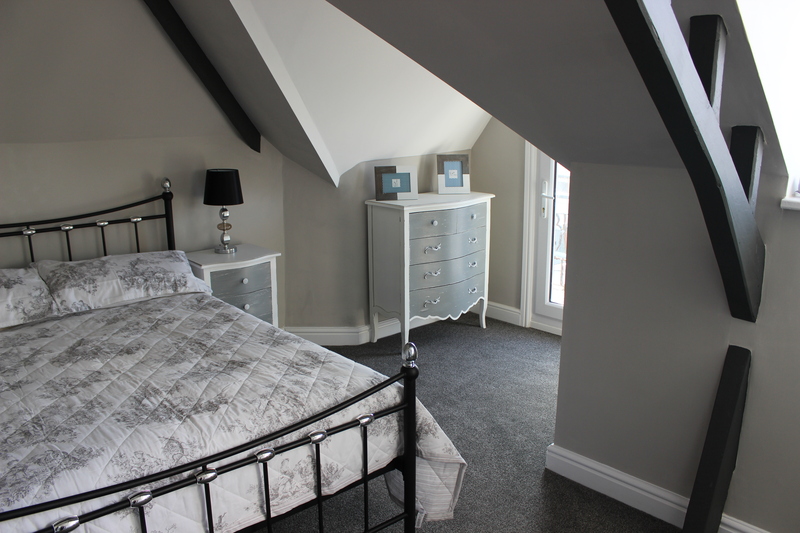 We have two double bedrooms, one king bedroom and one twin bedroom with an Alice in Wonderland theme. 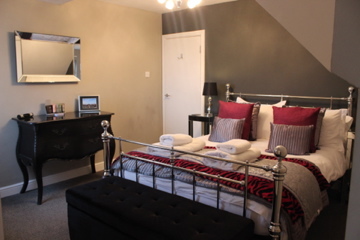 Each bedroom has a bed, wardrobe or hanging space, bedside tables, lamps and docking station. 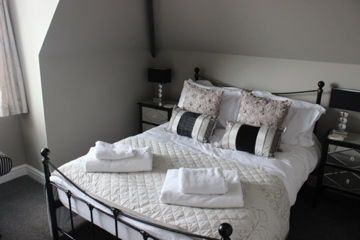 The rooms with double or king beds have one size larger duvet and linens, a seating area and can fit a cot if needed. All beds have mattress and pillow protectors and throws / blankets for those colder nights! We have a luxurious bathroom on the second floor. It has a bath (with shower attachment) and separate shower, WC, sink, heated towel rail and underfloor heating. Fluffy white towels and toilet rolls are provided.